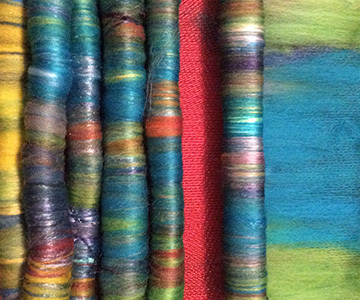 My fiber journey started with my desire to weave with my own yarn. 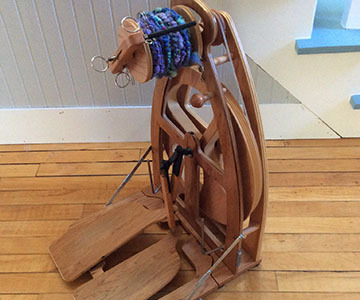 I now combine commercial with handspun and am hoping to focus more on handwovens. I find spinning yarn is simultaneously calming and creative, whether it is single, plied or art yarn. 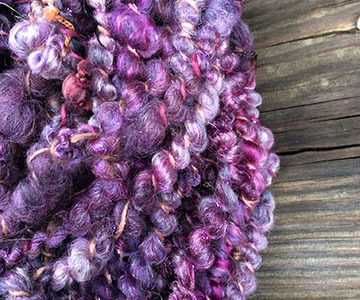 The fiber and color inspire the type of yarns I make. 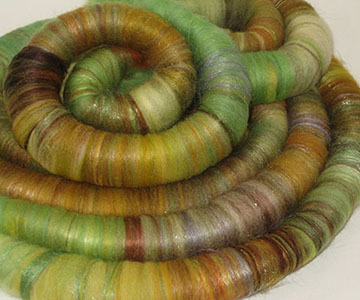 I dye my own wool, silk and other fibers. 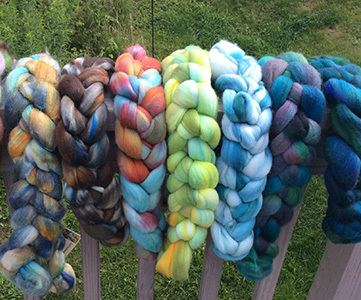 Braids of breed-specific roving are available as well as rolags and art batts that include a variety of fibers. ‘Free Range’ actually describes me. With my portable fiber studio and laptop, my husband and I find great AirBNB rentals several months a year to explore the country. I’m no expert, but I have my favorite tools and am happy to share what works for me, be it equipment, tools or books, and where I’ve found great deals. 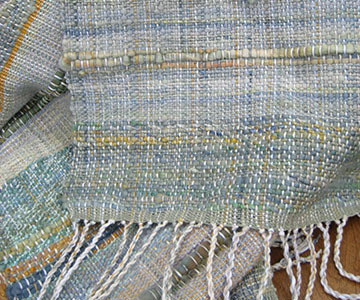 All weavers may not be introverts, but I am. Thankfully, fiber friends encourage me to share my creative process, what my current project is, or the fiber discoveries I’ve made.